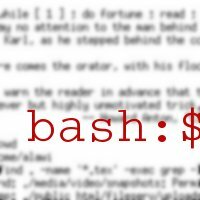 I use Bash (the bourne again shell). This is another page where I will keep things that I regularly forget about shell scripts in general (not just bash). echo >&2 "usage: $PN  "
echo "HELLO STUFF $1 $2"
echo -e "$INPUT --process--> $OUTPUT         \c"